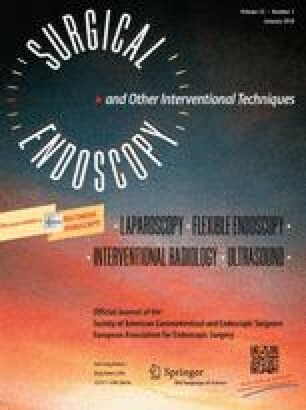 To compare the postoperative tissue damage and longitudinal changes in functional and patient-reported outcomes after vesicourethral anastomosis with barbed suture and nonbarbed suture in robot-assisted laparoscopic radical prostatectomy (RARP). This was a prospective cohort study involving 88 consecutive patients who underwent RARP. These patients were categorized into the barbed suture group (n = 50) and the nonbarbed suture group (n = 38). Urethral and periurethral damages determined by magnetic resonance imaging at nine months after RARP were compared using generalized linear models. The International Prostate Symptom Score (IPSS), quality of life (QOL) index, uroflowmetry, and the 1-h pad test were measured at baseline and at 1, 3, 6, 9, and 12 months after RARP. The findings were analyzed using mixed-effects models. Confounding was adjusted for using propensity score covariate adjustment. The likelihood of having Grade 2/3 urethral and periurethral damages was greater in the barbed suture group than in the nonbarbed suture group (adjusted risk ratios: 2.98 and 3.85, respectively). IPSS, QOL index, and urinary leakage transiently increased at one month after RARP in both groups. QOL index was higher in the barbed suture group than in the nonbarbed suture group at 1, 9, and 12 months (P = 0.023, P = 0.025, and P = 0.011, respectively). The barbed suture group had significantly more cases of urinary incontinence than the nonbarbed suture group at 3 months (P = 0.041). Other outcomes were comparable between the two groups at all time points. This cohort study showed that, after RARP, barbed sutures during VUA induced more severe tissue damage as determined by MRI and greater transient aggravation of QOL and continence function than nonbarbed sutures. The present findings suggest that using nonbarbed sutures during VUA may facilitate earlier acquisition of urinary QOL and urinary continence. The online version of this article (doi: 10.1007/s00464-017-5649-z) contains supplementary material, which is available to authorized users. Drs. Nobuhiro Haga, Noriaki Kurita, Tomohiko Yanagida, Soichiro Ogawa, Michihiro Yabe, Hidenori Akaihata, Junya Hata, Yuichi Sato, Kei Ishibashi, Osamu Hasegawa, and Yoshiyuki Kojima have no conflict of interest or financial ties to disclose.